I know there are ongoing activities to promote motorcycle safety in Oregon. Yet, my observations riding around the Portland metro area is that we just don’t see as much in the way of highly visible – “in your face” – awareness programs this year. Maybe I’ve missed the billboards while concentrating on and trying to navigate the highway ruts/grooves from all the road construction? I’ll tell you what I have noticed… Several motorcycle crash reports from Oregon State Police and articles in the Oregonian. It’s sad to say, but when I see a motorcycle accident in the paper, that’s increasing awareness! Some might even debate that reading about motorcycle accidents provides a better deterrent than a motorcycle awareness campaign could accomplish. June 17 – John Edward Tomer was eastbound on Highway 26 near milepost 46. For an unknown reason, the motorcycle traveled across the westbound lane where a witness in another vehicle slowed to avoid it. The motorcycle continued off the highway into a ditch and hit a tree bordering the north side. Mr. Tomer was pronounced deceased at the scene. June 21 – Terry Brateng stopped his motorcycle with two other motorcycles on the right southbound shoulder of I-5 near milepost 194 underneath an overpass next to a concrete shoulder barrier to shelter from a passing heavy rain shower. After getting off his motorcycle, Brateng was walking around the front of the motorcycle when he was struck by an automobile driven by Kaitlyn Inman which failed to drive within a lane. Brateng was seriously injured and remains in Sacred Heart Medical Center. June 23 – Stephen Anthony Williams was on Highway 37 about 8-miles southeast of Highway 97 and collided into the passenger side of a dodge van turning into a private driveway. 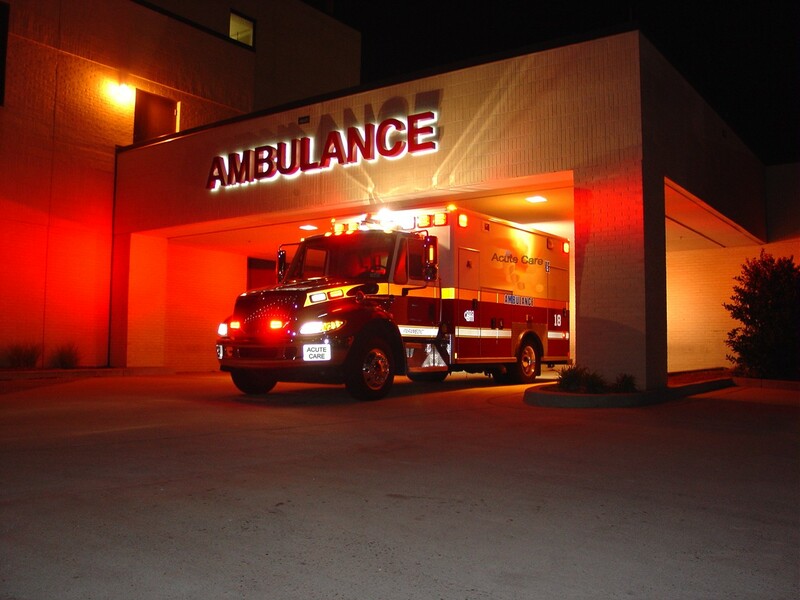 He was air lifted to St. Charles Medical Center in Bend where he died of injuries. The van’s driver, Glen Harvey Jr was arrested for criminally negligent homicide and DUII. June 24 – On Highway 19 west of Spray, Randall Upshaw was found by a passing motorist in the highway along with a dead deer. Upshaw was deceased and the preliminary investigation indicated a collision between the motorcycle and the deer. July 5 – An adult male crashed his motorcycle in the 1400 block of SE 10th Avenue in Portland and was pronounced deceased at the scene. A medical condition was being reviewed. No names were released. July 9 – A Roseburg couple, Kenneth and Linda Minshew were critically injured on Highway 138E two miles west of Tokette when the motorcycle traveled off the highway and struck a tree. July 11 – A fatal motorcycle crash on SE Milwaukee Avenue just south of McLoughlin Blvd. Damian Gerold Waytt was traveling at high rate of speed on a Kawasaki ZX6 and failed to negotiate a partial right turn and went off the road. Video HERE. This was the 23rd traffic fatality in Portland in 2013. July 11 – Jacob J. Godfrey was found lying in berry bushes several hours after an overnight motorcycle crash off Highway 194 (Monmouth Highway) and 3-miles east of Highway 223. The Yamaha motorcycle traveled off the highway and when Mr. Godfrey didn’t come to work the next morning friends went looking and spotted the mark on a road side tree, stopped and heard him call out for help. He was reported in fair condition. July 16 – A motorcycle and dump truck were involved in an accident on Highway 229 at milepost 21 near Siletz. For an unconfirmed reason the motorcycle operated by John Hausmann and with passenger/wife Angela Hausmann crossed the center line and collided with the truck. Their injuries are believed to be non-life threatening. My condolences and sympathies go out to the families and friends of these riders. There are many reasons for the spike in motorcycle accidents and clearly we can’t shove all the blame onto distracted automobile drivers. Given the high number of riders who will be out this weekend packing the roads for Run21 and the National BMW rally, I wanted to remind riders… please just pay attention and ride safe. We live in a world of overwhelming statistics. We experience the most poignant human conditions in the form of numbers and abstractions and being the most connected culture in human history, our experience of reality and truth gets washed over by the onslaught of rhetoric and opinions that isolate us from critical issues that often affect us. Motorcycle fatalities is a subject that our society has become particularly good at communicating solely in statistical terms. Numbers put us all at ease, isolate the acute human pain associated with an accident and inevitably numbs us to the reality that we or someone dear to us may be suddenly afflicted by a life-changing event. During the last week of January the northwest experienced dry and spring-like weather conditions. As a result many additional motorcyclists exited their garages to take their favorite ride on a spin. The area roads are in pretty good shape being mid-winter with the occasional gravel rock from the ice storm earlier in the year bouncing off the windshield. Yet, on January 25th at approximately 3:25pm Mr. Ronald V. McNutt became the first fatal motorcycle crash in Oregon. Mr. McNutt (age 66) entered the northbound lanes of I-5 near milepost 250 when he appeared to lose control in the area of the middle and right lanes. A school bus operator saw the motorcyclist losing control and tried steering to the left lane but was unable to avoid the motorcycle as it fell toward the school bus. The school bus was loaded with about 50 high school students and struck the motorcycle operator who was pronounced deceased at the scene. OSP continues to investigate the accident and if they provide the media an update I’ll update this post. I’ve been thinking about this accident off and on for the last couple of weeks. 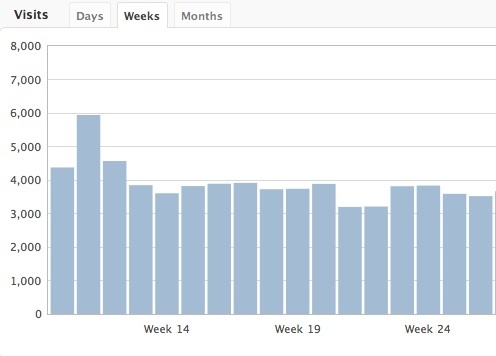 I debated the merits of blogging about it. Then I thought about the frequency at which certain motorcycle accidents are growing in our society and if it warrants the question of whether it’s good enough that we just know that they happen or whether we should become better acquainted with them and why. By knowing more, we’re truly able to understand the extent of suffering (not in a creepy way, but learning) and extend to them a hand of help, either as money that helps the family, or a charity or simply as an act of acknowledgement and well wishes to the survivors. I confess that I have absolutely no connection or personal knowledge of Mr. McNutt, yet found this accident disturbing not only by the statistic (first fatality), but in antidotal information about the frequency of accidents on the rise for this age group. We can debate causes endlessly, but what I hoped to communicate was the gravity of these accident’s which forces us to come face-to-face with the human dimension and to help raise awareness on the importance of driving safe out there. 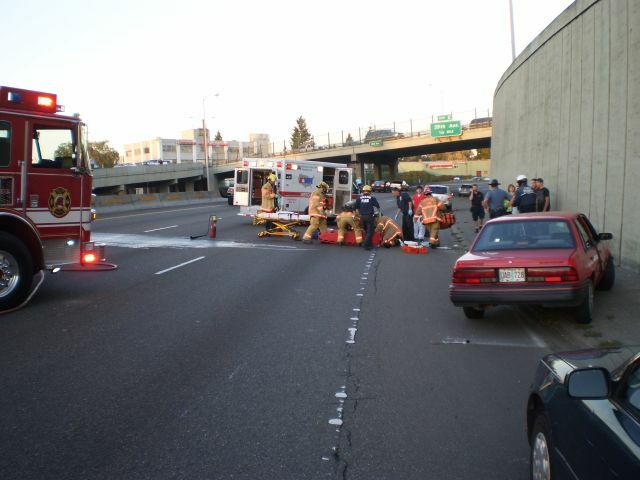 UPDATE: February 10, 2011 — As if we need another example: Dale Stark (64) critically injured in an accident yesterday. More info HERE. Photo courtesy of World Health Org. Graphic image full size HERE. 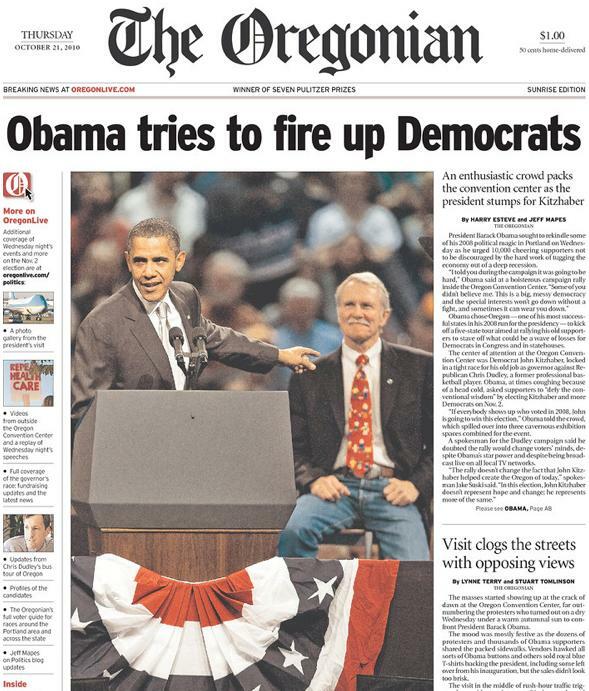 Yesterday, President Obama returned to Portland, OR to try and fire up the Democrats or rekindle some political magic. There was an enthusiastic crowd estimated near 10,000 which packed the convention center and listened as the president stumped for John Kitzhaber, who is locked in a tight race for his old job as governor. Sadly, the visit occurred in the middle of rush-hour traffic and triggered an accident on I-84 when eastbound traffic slowed to watch Obama’s motorcade traveling west from the Portland Air National Guard Base. At about 6pm, a northeast Portland man (Peter Kendall Gunderson, age 59) was eastbound when he may have failed to see traffic ahead of him was slowing as police were closing down the westbound lanes for the upcoming presidential motorcade to travel in. Gunderson lost control as he braked for the slowing eastbound traffic. The motorcycle skidded then fell onto its side, sliding uncontrolled in the left eastbound lane until it hit underneath a stopped 2010 Chevrolet Camaro. The motorcycle came to rest near the center concrete barrier and quickly caught fire. Some witnesses pulled Mr. Gunderson away from the burning motorcycle to the far right eastbound lane. Mr. Gunderson was transported by AMR ambulance to Legacy Emanuel Hospital with critical injuries, but died this morning. The full OSP report is HERE. It’s unclear if police had enough lead time to plan a safer route in Portland. I did a quick search and it turns out that there are many deaths across the U.S. just so the president or a dignitary doesn’t need to sit in traffic. Many are motorcycle officers, but some are similar to Mr. Gunderson being caught up in the police route. For example, in 2006, a Honolulu officer died when he and two other motorcycle officers crashed while part of a presidential motorcade. In 2007, a police officer died after crashing his motorcycle while riding in a motorcade with President Bush. In 2008, Hillary Rodham Clinton’s only campaign swing through North Texas was cut short after a police officer in her motorcade died in a crash on the way to a rally. Also in 2008, an Albuquerque, N.M., police officer in President Bush’s motorcade died in a motorcycle crash. I’m not blaming Obama – just pointing out that presidential motorcades aren’t safe for everyone! My condolences to Mr. Gunderson’s family. No word if President Obama or anyone in his administration has tried to reach out to Mr. Gunderson’s family. Photo courtesy of Oregonian and OSP. According to a new report from the National Highway Traffic Safety Administration (NHTSA) Oregon’s traffic deaths fell to a low of 9.4% from 416 in 2008 to 377 in 2009. Washington’s road fatalities dropped from 521 to 492, a 5.6% decline. At a news conference in Washington, D.C., earlier this week, U.S. Transportation Secretary Ray LaHood cited the weak economy as a contributing factor, saying many Americans had cut back on “discretionary driving,” including going out to bars and restaurants after work or on weekends. At the same time, LaHood stated cars are becoming safer and motorists are becoming increasingly safety conscious. The number of alcohol-impaired driving fatalities continued a five-year slide, dropping from 137 in 2008 to 115 in 2009. Speeding-related road deaths declined from 147 to 125. In 2005, there were 161. The number of bicyclists killed in crashes dropped slightly, from 10 in 2008 to eight in 2009. While the number of pedestrians killed on the road dropped from 51 to 35. After improving dramatically in 2008, the number of teenagers killed in crashes was on the rise again in 2009, climbing from 34 to 46. In 2005, 84 teens died in vehicle crashes. Bucking these overall positive trends were motorcycle fatalities in Oregon increased to 53 in 2009 from 48 in 2008. Nationally motorcycling fatalities in 2009 decreased for the first time in more than a decade, dropping to 4,462 in 2009 from 5,312 in 2008. To read the 2009 FARS data in detail click here (.pdf). In related news and sadly was this morning’s report of a motorcycle rider who died at the scene after a collision with a car at the intersection of South Springwater and Bakers Ferry roads in Oregon City. According to Clackamas County Sheriff’s Office spokesman Detective Jim Strovink the victim’s wife was following in a separate vehicle and witnessed the crash making this event even more of a tragedy. Names were not released, but photos of the crash scene indicate the rider was a member of The Patriot Guard. 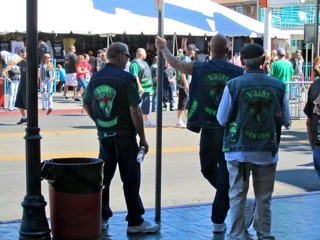 They are volunteer’s who provide escorts for veteran funerals, and Veterans coming home ceremony’s. My sincere condolences to his wife and family. It’s unknown if the driver didn’t yield or if the motorcyclist was at fault. I’ll continue to follow the reports and provide updates. My view is that you can never be defensive enough so please be safe out there. UPDATE: September 11, 2010 — There is a good update in the Oregonian about Fred J. Brehony who was killed yesterday on his way to the Willamette National Cemetery. 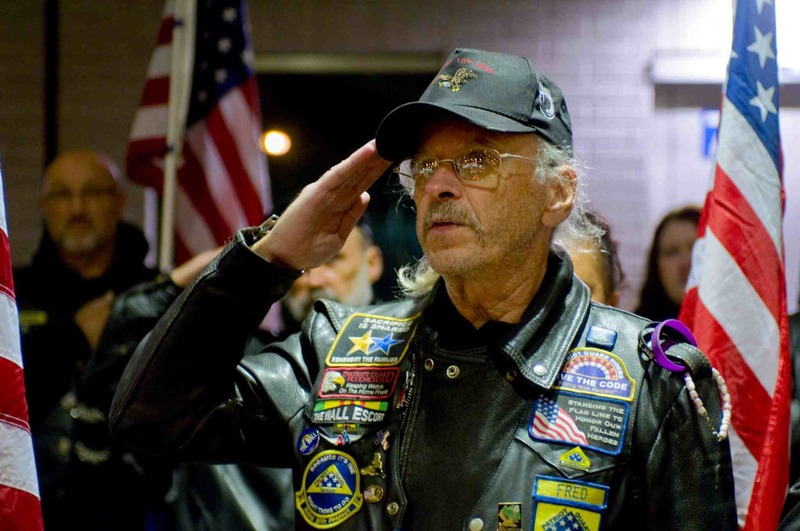 As a member of the Patriot Guard Riders he was in route heading to a funeral for Howell “Hal” Birdwell (a U.S. Vietnam War vet) when he collided with a car. Mr. Brehony was a U.S. Navy Veteran who served on a destroyer during the Vietnam War and deeply believed in the mission of the Patriot Guard. He will be missed. UPDATE: September 14, 2010 — KGW did an expanded story on Mr. Brehony. Video is HERE. UPDATE: September 14, 2010 (3pm PST) – Information was posted on the PGR Forums Web Site which outlines a two phase mission for Mr. Brehony. One on Thursday, 16/Sept/10 and another on Sunday, 19/Sept/10. Staging and briefing times are covered HERE. 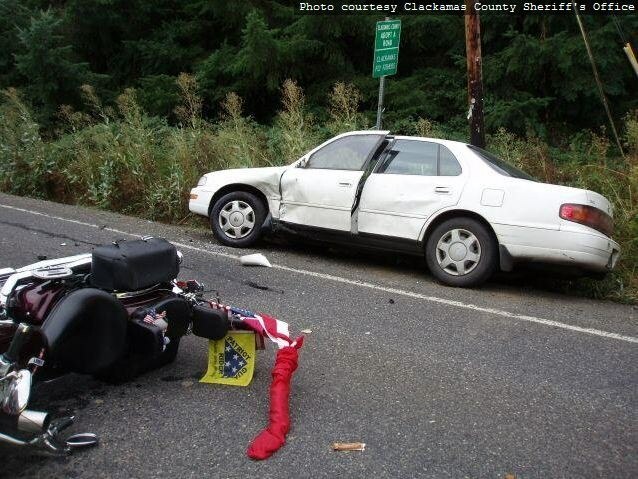 Photo courtesy of Clackamas County Sheriff’s Office. Brehony photo courtesy of Olivia Bucks and The Oregonian. It happens this Saturday, October 31st. Halloween falls on a Saturday this year and it’s a particularly deadly night due to impaired drivers. The ODOT Fatality Analysis Reporting System (FARS) data reveals a startling fact. It turns out that 90% of the fatalities (10) on Halloween night (6:00 p.m., October 31st to 5:59 a.m., November 1st) between 1998 and 2008 in Oregon occurred in alcohol and/or drug-involved traffic crashes. 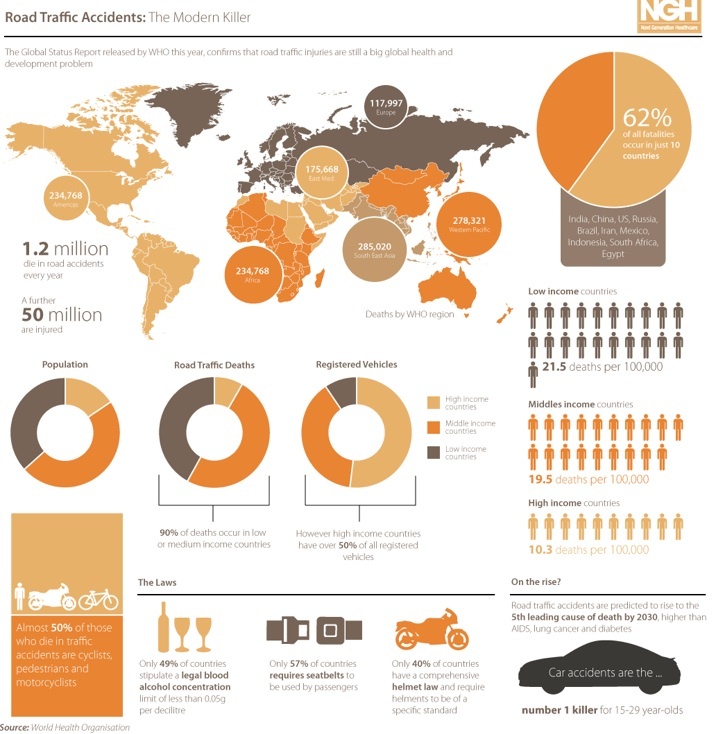 And according to the National Highway Traffic Safety Administration (NHTSA), in 2008, 58 percent of all highway fatalities across the nation on Halloween night last year involved a driver or a motorcycle rider with a Blood Alcohol Concentration (BAC) of .08 or higher, which is illegal in every state. Now let’s add the fact that Eugene and Corvallis will see a significant traffic increase associated with UO and OSU home football games. All of this mixes with excitable trick-or-treaters, and costumed party-goers — we have the perfect storm of people taking the party to the roadways. Everyone plays an important role in keeping the kids and roads safe. Please be safe out there and enjoy the weekend.